Greetings from La Neylière, France. Fr Christopher and I continue to enjoy and benefit from the Colinian Renewal programme here in Southern France. The weather has been nicer lately, with blue skies and sunshine. La Neylière is surrounded with colourful flowers, plants and blooming trees. 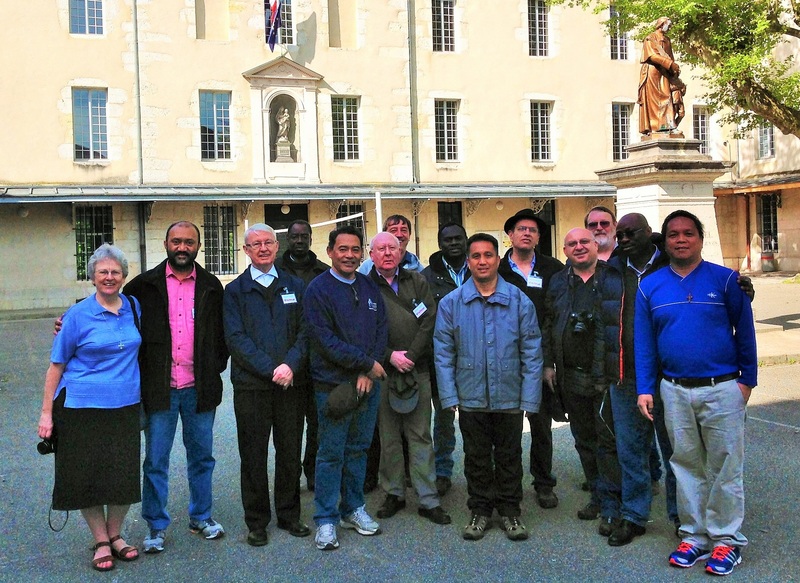 Some of the highlights recently is the stimulating input from different lecturers, and the pilgrimage to places of Marist origins. Fr Alois Greiler, a German Marist priest, gave us two days of solid and reflective input about the life, mission and martyrdom of St Peter Chanel in Futuna, as well as his meaning to the Marists and Church of today. We are very proud of and inspired by Peter Chanel’s courageous missionary life – the first Marist saint. On the feast day of St Peter Chanel, April 28th, we had a pilgrimage to Cuet, where he was born and grew up. Then we celebrated Mass in the church in Cuet. We also visited the museum of Peter Chanel there. After Cuet, we continued our pilgrimage to places of humble Marist beginnings in Belley, Cerdon, and the Bugey mountains. Sr. Teri O’Brien of the Marist Sisters gave us a big welcome in Bon Repos, Belley. We also had the privilege of visiting the older Marist Missionary Sisters in Ste Foy, Lyons. These sisters were very generous and daring missionaries to Oceania and Africa. We also learned that three sisters have recently set out again to start a new mission with refugees in Cameroon, in partnership with Jesuit Refugee Services. 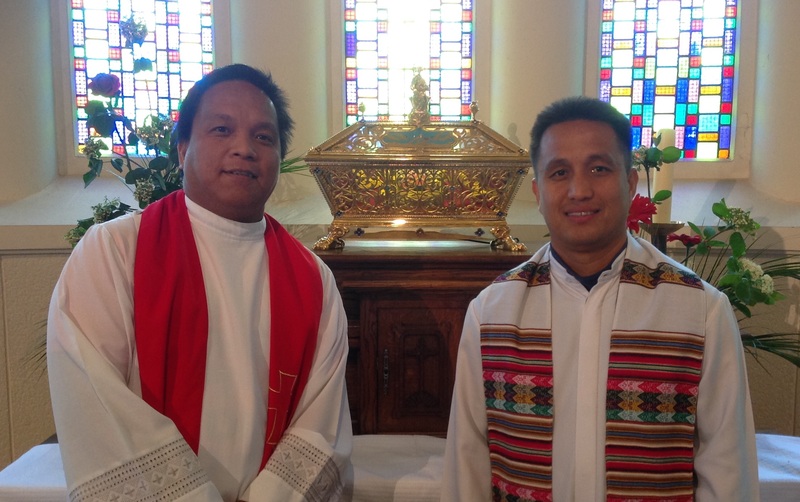 As part of our programme, Fr Chris and I have shared about the culture of Asia, with special focus on the Philippines. We have also shared about the Marist communities and mission of the District of Asia.